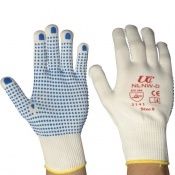 The Partially Fingerless Knitted Nylon Low-Linting White Gloves NLNW-3F are 13 gauge nylon gloves with a specialised low-linting design that minimises the chances of contamination. 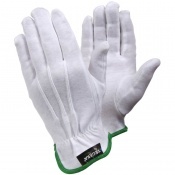 Featuring a soft, seamless construction, the Partially Fingerless Knitted Nylon Low-Linting Gloves provide a high level of wearer comfort and a secure snug fit. 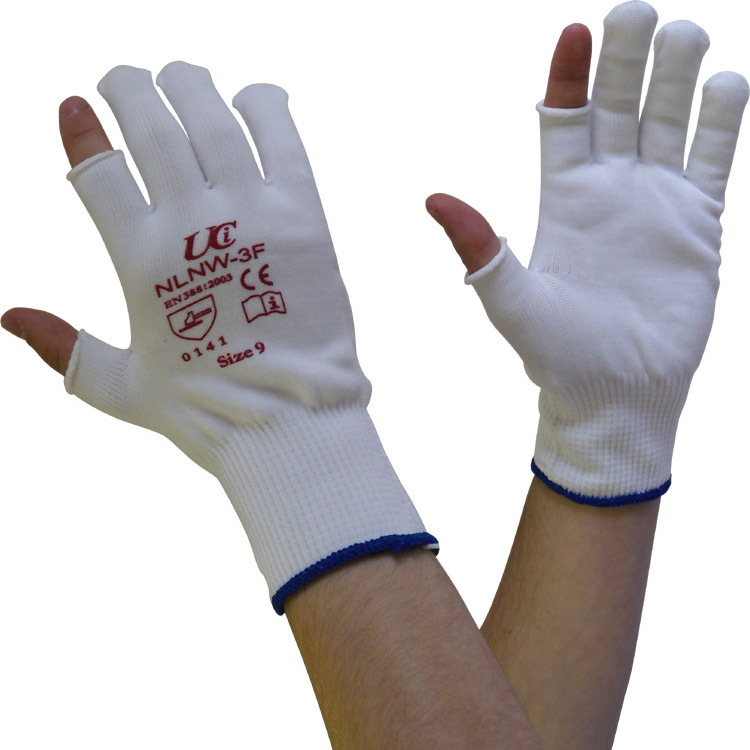 With exposed thumb and index fingers, the Partially Fingerless Knitted Nylon Low-Linting Gloves provide improved dexterity over a range of light handling applications. 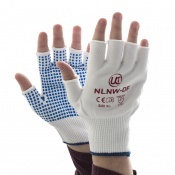 The product code for these gloves is NLNW-3F.